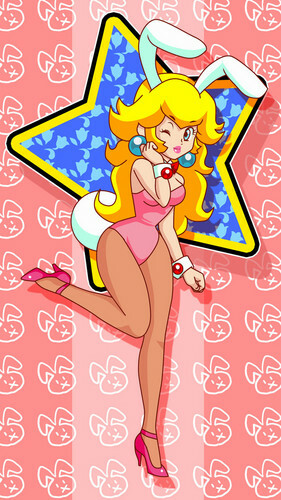 EASTER BUNNY PEACH. . HD Wallpaper and background images in the Princess Peach club tagged: princess peach. This Princess Peach fan art might contain anime, comic book, manga, and cartoon. Princess Peach & Bowser ?! princess peach in mom jeans!